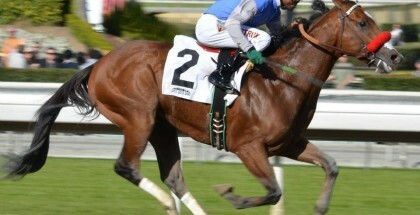 Rydilluc has crossed the finish line first in four of his last five races. He teams up with Edgar Prado again for the 2013 Virginia Derby at Colonial Downs. 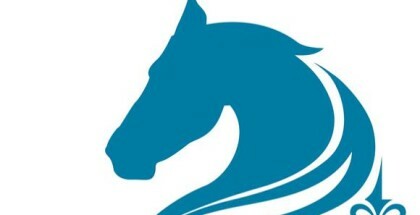 The Virginia Derby is set to take place Saturday July 13, 2013 at Colonial Downs in New Kent, Virginia. The $500,000 1 ¼ mile outer turf race is for three-year-old and draws a field of nine colts and one gelding including the extremely talented Rydilluc with 9/5 odds. Rydilluc will face three “Kittens” on the track that could possibly make history on Saturday night. The Gary Contessa trained colt Rydilluc is a Lady and The Track office favorite. 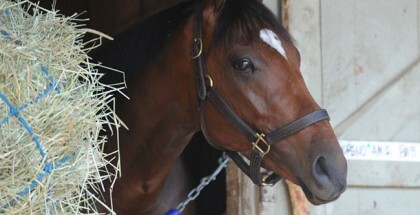 Rydilluc will break from post position #4 in the 2013 Virginia Derby with Edgar Prado in the saddle. Rydilluc has crossed the finish line first in four of his last five races. He beat out Charming Kitten, who placed second, and Jack Milton, who finished third, in the Penn Mile Stakes on June 1st. 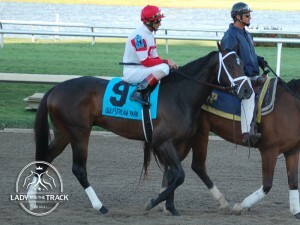 Charming Kitten, with 7/2 odds, teams up with jockey Joel Rosario in the Virginia Derby on Saturday July 13, 2013. The 2004 Virginia Derby winner, Kitten’s Joy, sired three of the ten contenders in the 2013 Virginia Derby. Charming Kitten, with 7/2 odds, Fear The Kitten, with 15/1 odds, and Redwood Kitten, with 10/1 odds, are all offspring of the chestnut son of El Prado. 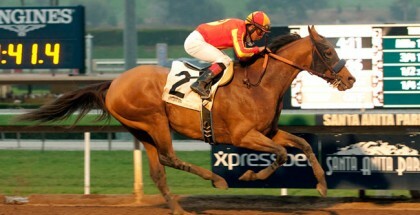 Fear The Kitten is owned by Frank Irvin but was bred by Ken & Sarah Ramsey who own Redwood Kitten and Charming Kitten. Experts predict Rydilluc, Charming Kitten, and Jack Milton are your safest bets for the 2013 Virginia Derby. I’m no expert, but I also like Fear The Kitten with 15/1 odds for a long-shot bet. It would be magical if Ken Ramsey’s dreams came true and all three kittens finished in the money! The 2013 Virginia Derby will be the 7th race of the day with an 8:12 PM EDT post time. Lady and The Track would like to wish the Virginia Derby jockey record holder Edgar Prado, trainer Gary Contessa, Hill ‘n’ Dale Equine Holdings, Inc. & Gaines-Gentry Thoroughbreds, and the amazingly talented Rydilluc, along with all the Kittens, the best of luck in the 2013 Virginia Derby. Good Luck! Safe Run!